The first female Navy SEAL candidates could arrive for training as early as August, according to a timeline released by the U.S. Defense Department. While the dates provided by the Pentagon are only provisional, the move marks a pivotal moment in the American military’s opening up of all its combat positions to women candidates. Some women could arrive for pretraining for the special operations force as soon as May, while the Marine Corps will begin sending female ground combat troops to boot camp by April, the Pentagon said in a report released Thursday. The move to allow women to apply for combat military jobs that had traditionally been open only to men started in 2013 under former Defense Secretary Leon Panetta. At the time, it was widely acknowledged that the change in the Pentagon’s position on this issue was being made because women had proven themselves during the military’s long deployments in Afghanistan and Iraq, where they frequently served alongside men in hostile environments. The current defense secretary, Ash Carter, said plans by each of the military’s branches were now officially approved, opening 220,000 positions to women. “Having reviewed their exceptionally thorough work, I am pleased all of the services developed plans that will effectively carry out this change and make us even better in the future,” Carter said in a statement. However, women who want to be considered for ground combat jobs will have to take the same rigorous strength tests as men, including pull-ups. Women who don’t want to become infantry Marines aren’t required to do pull-ups. The military’s test of upper-body strength, pull-ups have been considered an area where women have failed when attempting combat training. 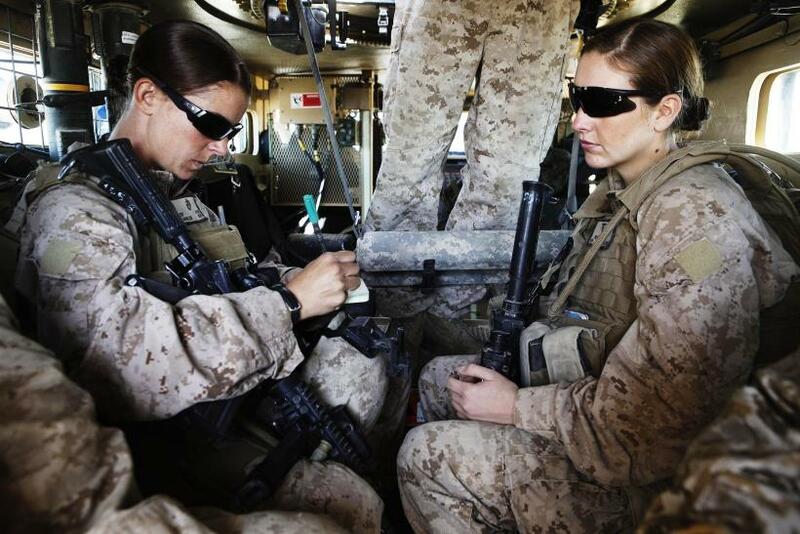 Critics of the current system, which exempts women from having to try the pull-ups for regular Marine positions, have said the military has done women a disservice by setting a lower bar for them. “I think the biggest takeaway that I have for the plan is that it doesn’t address the overall quality issues we have with female recruits right out the gate,” Lt. Col. Kate Germano said. She said she believes men and women, regardless of the jobs they are seeking, should be held to the same standards. The Marines Corps initially attempted to stop women applying for some jobs, but Carter said that every job would be open.